On Aug. 28, 1963, 250,000 people peacefully protested during the March on Washington for Jobs and Freedom. To mark the 55th anniversary of that historic day, House Democratic Whip Steny H. Hoyer (Md.) released a statement that highlights the March and the Rev. Dr. Martin Luther King Jr.’s “I Have a Dream” speech. Whip Hoyer talked about another speaker at the March, John Lewis, who represented student activists. Lewis called on all Americans to participate in the nonviolent movement for civil rights. Whip Hoyer quoted Lewis: “‘Get in and stay in the streets,’ he declared, ‘of every city, every village and hamlet of this nation until true freedom comes, until the Revolution of 1776 is complete.’” Since the March, Lewis has worked to lead the continuation of our American Revolution, building on the work of Lincoln and King, and Whip Hoyer said he has been proud to serve with him in the Congress and call him a dear friend. 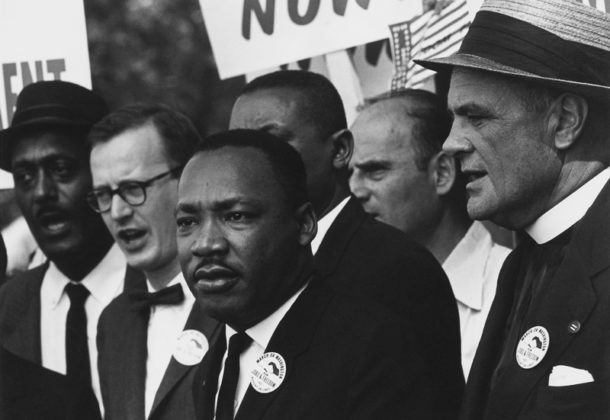 “As we remember the March for Jobs and Freedom in 1963, let us rededicate ourselves to the work of civil rights, justice, and equality in our time. I look forward to continuing my work with John, our colleagues in Congress, and with civil rights organizations to carry this effort forward in the years ahead,” Hoyer concluded.